M&R's Tom Olson will be speaking at the NJ New Jersey State Bar Association - McKirdy, Riskin, Olson & DellaPelle, P.C. M&R’s Tom Olson will be speaking at the NJ New Jersey State Bar Association (//www.facebook.com/NJStateBarAssociation) annual meeting in Atlantic City next month in a panel on “Advanced Topics and Ethical Considerations for Property Tax Appeals”. 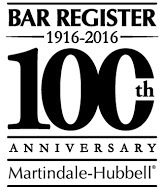 For more info visit the Bar Convention schedule here.